Want to start college out strong? Of course you do! You also want to add to your dorm room decor. Luckily you can do both of those things with our Peel N Stick Enjoy The Ride Message Board Wall Art! Our Peel N Stick Message board is a great addition to your dorm room decor because it's completely safe for your college dorm room walls and won't damage them. Plus this is a dorm message board that takes up no space at all! 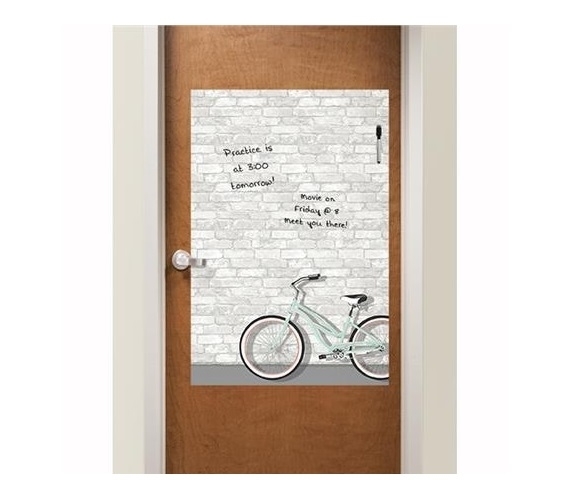 You won't have to worry about choosing between which dorm essentials to bring to college with this dorm message board. As long as there's a free spot on your dorm room door or college room wall, you'll be good! 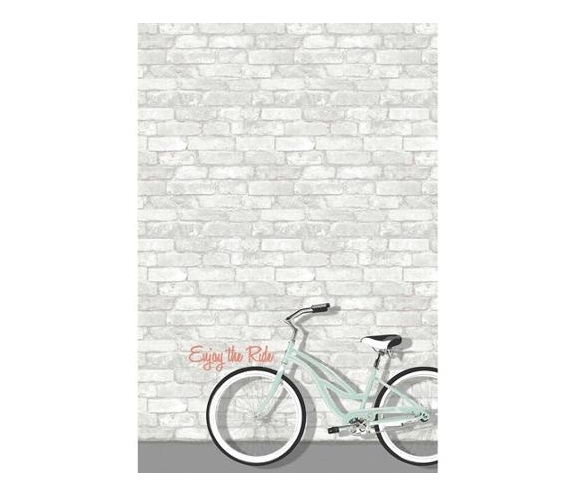 Our Peel N Stick Enjoy The Ride Message Board Wall Art is extra large so you will have plenty of space to write or doodle. You may not see your roommate often and need to leave them a message. Sticky notes and other pieces of paper can be easily lost, but with a college dry erase message board, you won't have to worry about a message becoming accidentally lost. The other awesome part about this oversized dorm essential is you can use it to keep track of your college courses or even brainstorm ideas for your English essay. You can even do all of the above without having to erase the board because of the size of this handy college supply!